Gospel: The message concerning Christ, the Kingdom of God and Salvation - an unquestionable truth. Architecture: The way components fit together - a unifying or coherent form or structure - the result of a conscious act. Our Mission Statement: To obey and share in the fulfillment of Acts 1:8 and Matthew 28:19-20. To always be available to go and share the Gospel of God to any un-reached people group especially in those areas considered “pioneer”, “frontier”, “closed” or areas that may be “geographically difficult”. Although gospeltecture is and will be involved in several areas of East Africa, one of the areas we concentrate in is Northern Kenya and South Sudan. The region in Kenya known as “Turkana” is approximately 900 kilometers from the capitol, Nairobi. The area is bound on the west by Uganda, on the east by Lake Turkana and on the north by the Sudan border. “Lostness” is very significant in this region, our basic ministry here is evangelism and discipleship. The region is “remote”, the geographic area is difficult, the people are generally nomadic herdsman and their “bomas” are spread throughout the area, there are few workers to reach these people. Develop "ministry points" and establish a presence in villages and form relationships that provide opportunities to be a witness and to share the Gospel among the people. Develop projects for short term volunteers such as Christian training and development, medical/dental teams, vocational training, and other programs. Develop a “multiplying ministry”, that is, form small discipleship groups that grow new converts in Christ and provide additional workers to further reach the people in these areas. gospeltecture will also be involved in water projects in this area. 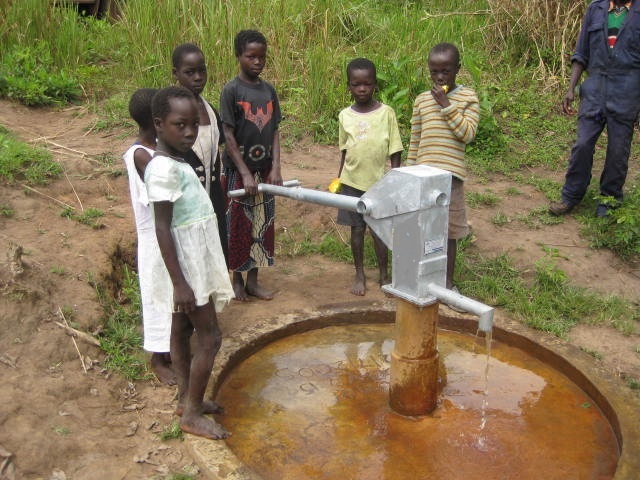 At an early stage, gospeltecture recognized that providing water in this region as well as many regions in East Africa and Sudan can truly show the love of God. This benevolent act will never overshadow our ministry of evangelism and discipleship. However, our goal is to provide new boreholes and rehabilitate existing boreholes and pumps in the communities where we work. This is gospeltecture! Our Mission Purpose: There are many people groups in the world, especially in remote regions, which have not been reached for the Kingdom of God. The purpose of our mission is to live and work in these regions, to establish a ministry, to witness, reach, and disciple these people groups for the Kingdom of God and to develop partnerships with those that would help accomplish this call. * a Colorado non-profit corporation. * a Kenya Registered Society. 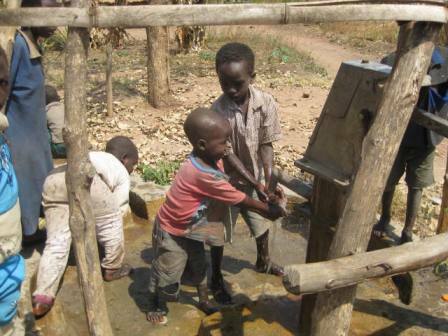 gospeltecture is raising funds to repair hand pumps in Kenya. 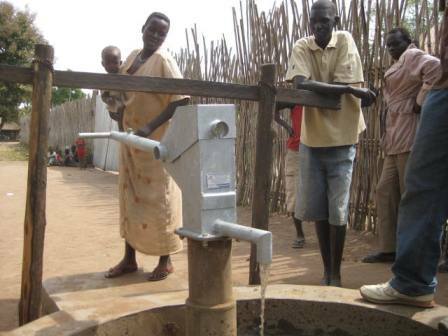 It costs $950 to repair an existing hand pump and $2000 to install a new pump. Would you join us in this work? Please see our "Verse 14" and "Get Involved" pages for more information. Thank you for your generous support of gospeltecture.